Item number Nbz698 a-b from the MOA: University of British Columbia. 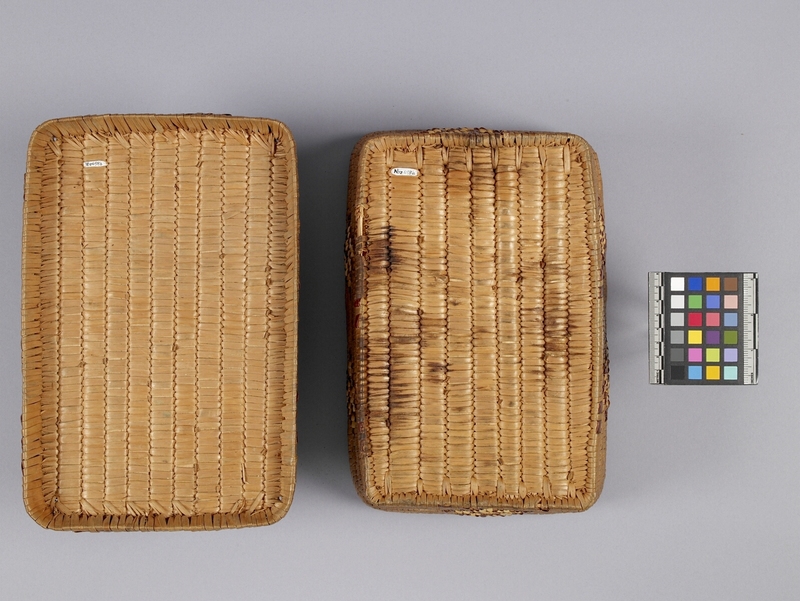 Rectangular basket (part a) with a lid (part b). Slat base and lid construction. Tightly coiled slats for the body of the basket (part a). 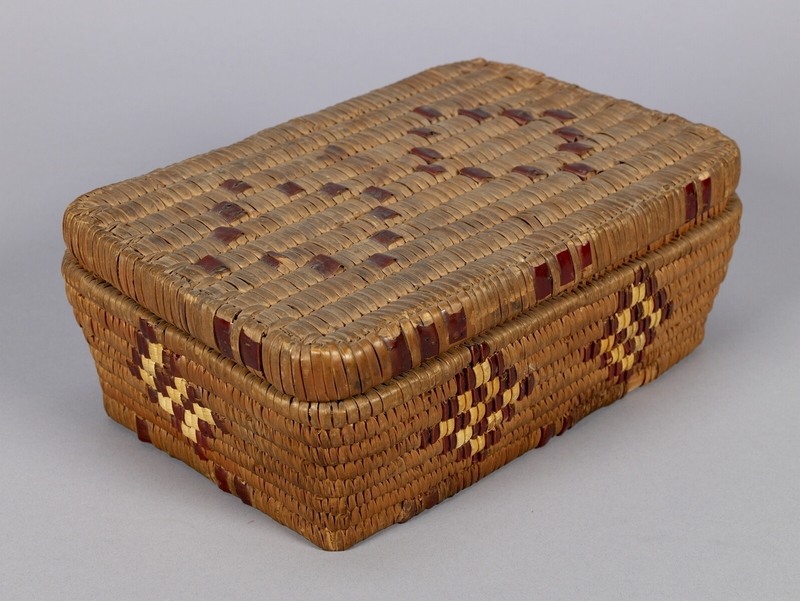 Red cherry bark and white grass diamond shaped imbrication decorates four sides of the basket. 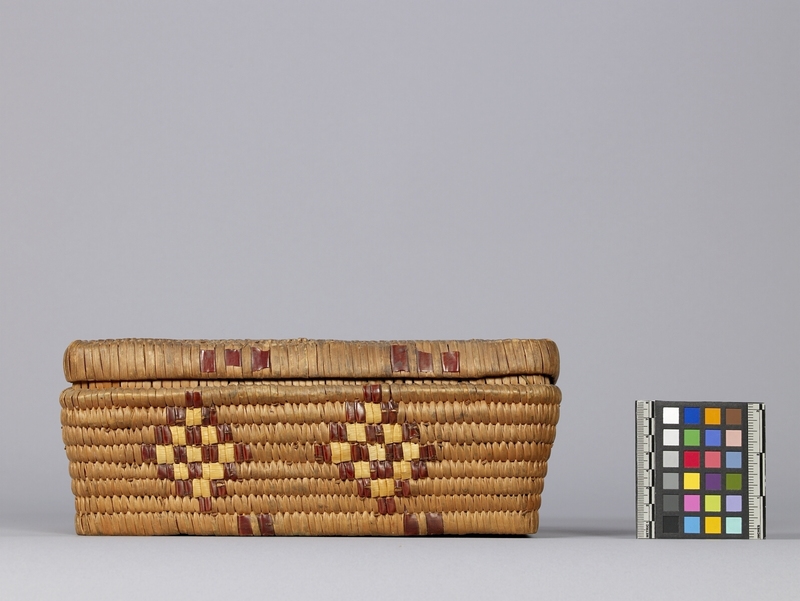 Red cherry bark beading decorates the foot of the basket. Lid (part b) has beaded red cherry bark on the edge and two diamond outlines in red cherry bark imbrication.